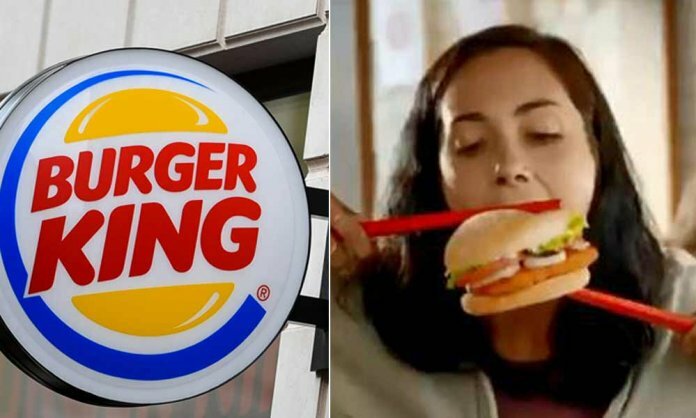 The fast-food giant, Burger King recently pulled down a racist ad rolled out by its New Zealand Franchise after it sparked an intensive round of criticism for the brand. The ad showed Westerners attempting to eat its ‘Vietnamese Sweet Chilli Tendercrisp Burger’ through the aid of oversized chopsticks. Naturally, the Asian community around the globe found the ad offensive since the chopsticks signify a significant cultural value for them. A number of ad viewers took the issue to Twitter making the hashtag #burgerkingracist go viral. The Vietnamese now want Burger King to leave the country. Post backlash, Burger King has ordered the franchise to take the ad down from all social media platforms. They apologized saying the ad was not representative of their true values of inclusion and diversity. “Insensitive and does not reflect our brand values regarding diversity and inclusion. What is your view on the ad? Let us know in the comments below. Next articleThe Biggest Ideas Sale by GulAhmed is NOT to be missed!